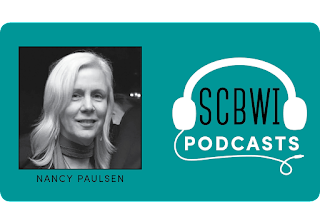 Nancy Paulsen is the President and Publisher of Nancy Paulsen Books, an imprint of Penguin Young Readers. 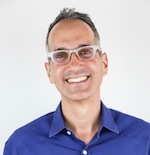 The imprint publishes fifteen books a year and focuses on eye-opening, often funny picture books and middle grade fiction from diverse and distinct voices, especially stories that are inventive and emotionally satisfying. 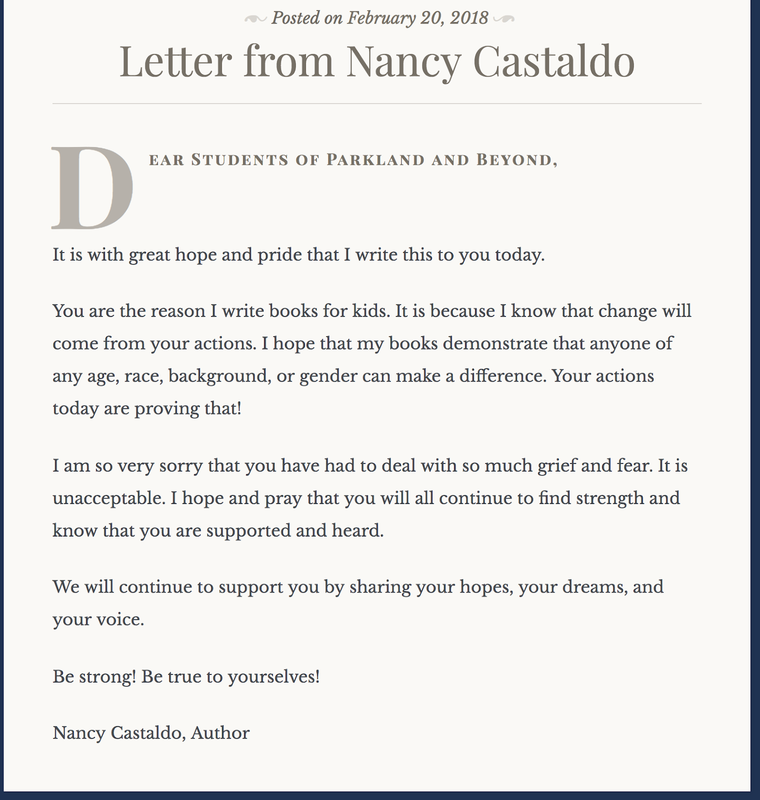 New York Times bestsellers she has edited include National Book Award and Newbery Honor Winner Brown Girl Dreaming by Jacqueline Woodson, Fish in a Tree by Lynda Mullaly Hunt, and Miss Maple’s Seeds by Eliza Wheeler. 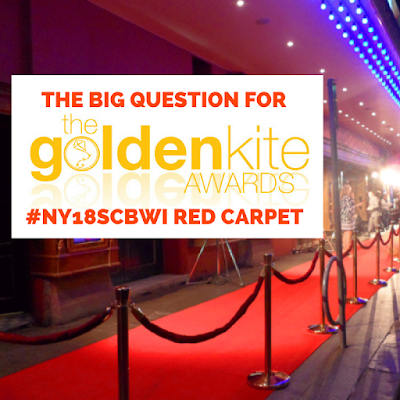 Other award-winning titles include Coretta Scott King Honor Winner Each Kindness by Jacqueline Woodson and E.B. Lewis; Looking at Lincoln by Maira Kalman and Leaves by David Ezra Stein. In this two-part conversation with Theo Baker, Nancy discusses editing, her list, diversity, first chapters, the process of revising a middle grade novel, what goes into publishing a picture book, and so much more! 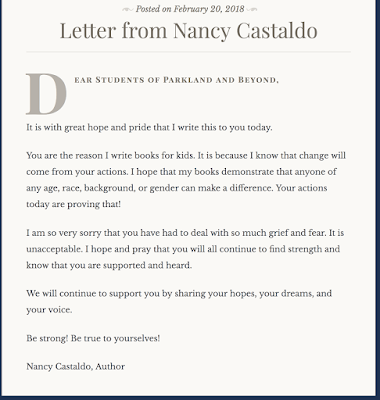 KidLitforKidsLives - a movement of letters from children's book creators to the students of "Parkland & Beyond"
Most importantly, you can share your own letter with the students as well - link at the bottom of the kidlitforkidslives site. Golden Kite Winner for Picture Book Text Carolyn Crimi tells us about "There Might Be Lobsters"
Thanks, Carolyn! And congratulations again! 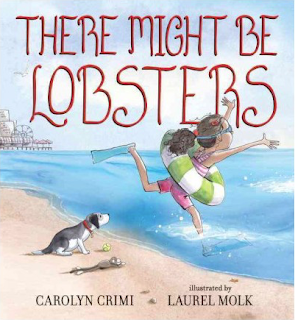 Learn more about Carolyn and "There Might Be Lobsters" here. 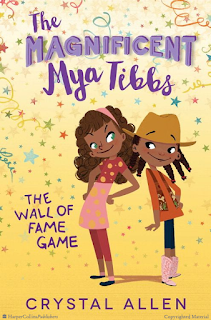 Sid Fleischman Humor Award Winner Crystal Allen tells us about "The Magnificent Mya Tibbs: The Wall of Fame Game"
The Sid Fleischman Humor Award is an award for authors whose work exemplifies the excellence of writing in the genre of humor. 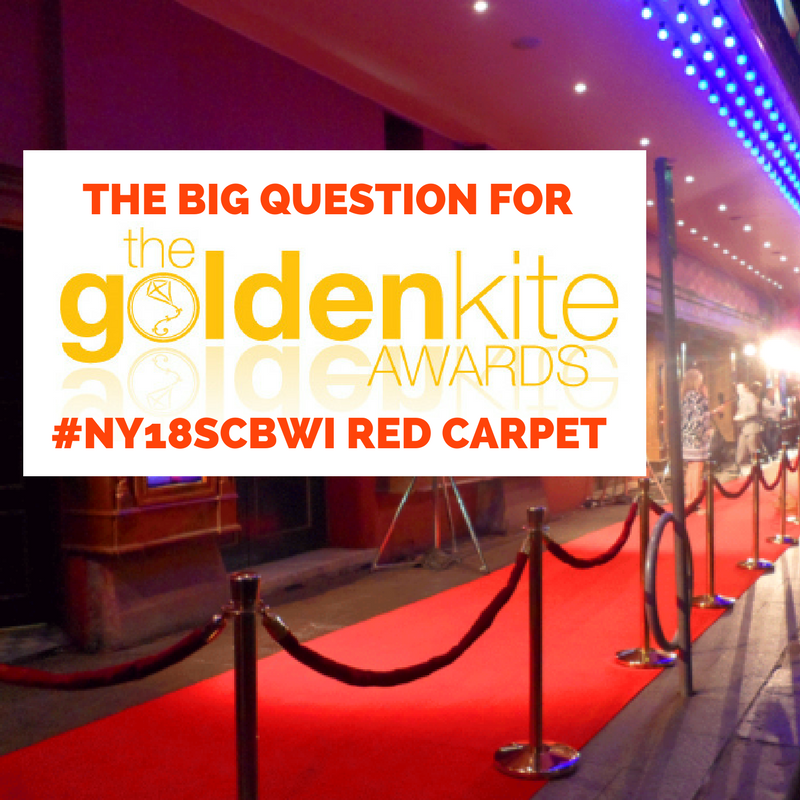 The SCBWI established the award to honor humorous work, so often overlooked in children’s literature by other award committees. Find out more about Crystal and the rest of "The Magnificent Mya Tibbs" series at Crystal's website here. 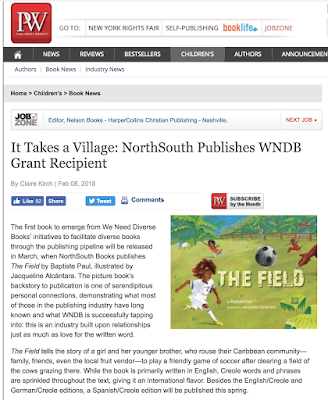 PW profiles the first picture book to come from the We Need Diverse Books mentorship program: "The Field"
"The picture book’s backstory to publication is one of serendipitous personal connections, demonstrating what most of those in the publishing industry have long known and what WNDB is successfully tapping into: this is an industry built upon relationships just as much as love for the written word." The book is "The Field" by Baptiste Paul, illustrated by Jacqueline Alcántara. 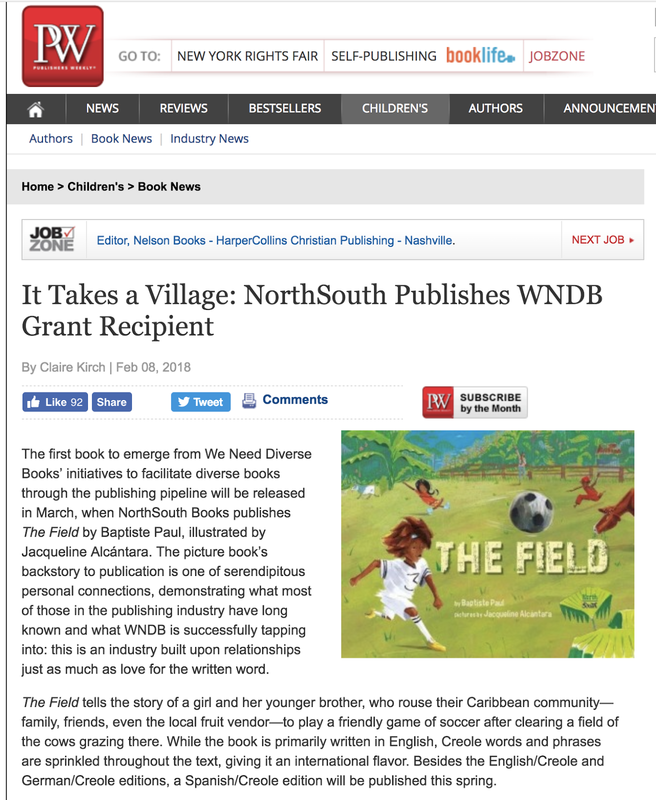 "I hope this story encourages other writers of color to join the WNDB program." 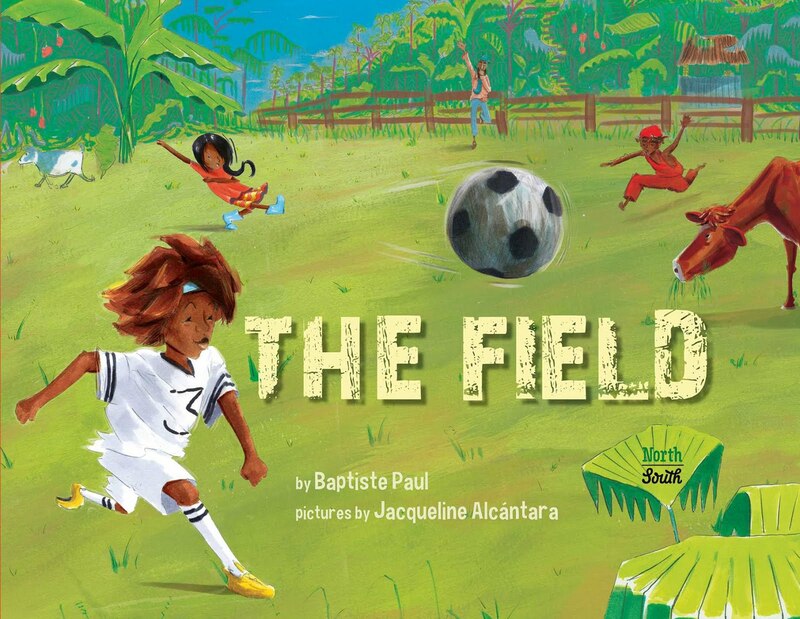 From the PW article: "The Field tells the story of a girl and her younger brother, who rouse their Caribbean community—family, friends, even the local fruit vendor—to play a friendly game of soccer after clearing a field of the cows grazing there. While the book is primarily written in English, Creole words and phrases are sprinkled throughout the text, giving it an international flavor. Besides the English/Creole and German/Creole editions, a Spanish/Creole edition will be published this spring." Cheers to debut author Baptiste Paul, his wife Miranda who met Beth at the SCBWI conference in Los Angeles a few years ago and introduced the editor to her husband's work, debut illustrator Jacqueline Alcántara, Alcántara's agent Adriana Dominguez, Alcántara's We Need Diverse Books mentor Author-illustrator Carolyn Dees Flores, NorthSouth, and the whole WNDB team! Wow - it really does take a village! 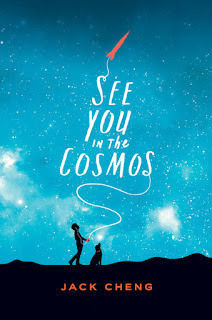 Golden Kite Winner Jack Cheng Tell Us About His Middle Grade Novel, "See You In The Cosmos"
Thanks, Jack! And congratulations again! Learn more about Jack and "See You In The Cosmos" here.